This was Lea from The Honest Crowd’s idea. 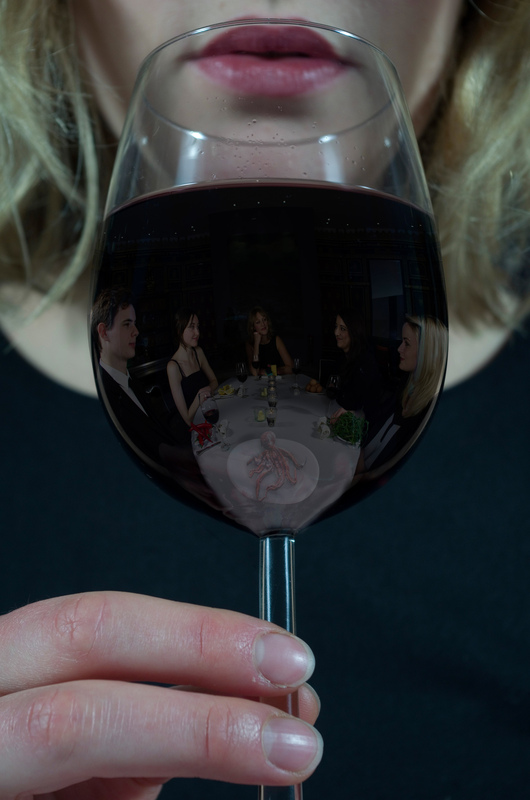 She wanted me to superimpose the rest of the cast into her wine glass, I figured there should be something on the plate in front of her and so after trying a hammer and a lady’s shoe I decided a live octopus worked best. It didn’t get chosen in the end but I really like this image.